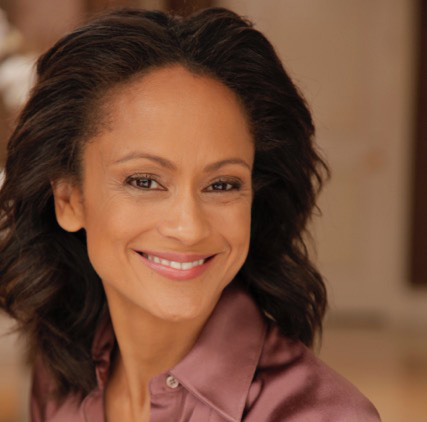 Anne-Marie Johnson — The Man/Kind Project, Inc.
As Vice-President of the Screen Actor's Guild, Anne Marie quickly gained a reputation as a take-no-prisoners administrator who worked tirelessly for SAG membership. A Los Angeles native and UCLA graduate, Anne-Marie continues to have a very busy career on television and in major motion pictures. Anne-Marie represented the Screen Actors Guild as a national board member and 4 term first Vice President, from 1997-2013; the first African American to be elected to that position in the union's history. Anne-Marie was honored to be presented the 2016 Screen Actors Guild Ralph Morgan Award, the highest honor an actor can receive for service to her union and the first African American to receive the honor. Anne-Marie currently sits as chairwoman and parliamentarian of her neighborhood council. Since 2015, Anne-Marie has been working with the LAPD creating, co-producing and directing a series of public service announcements. She has also served as Mistress Of Ceremonies for the LAWPOA Symposium and will be mc’ing, once again, in 2017. Anne-Marie was awarded the 2017 Southern Christian Leadership Conference’s Rosa Park’s Award and was named by Congressman Adam Schiff the 2017 Silver Lake Woman Of The Year. Anne-Marie starred in several successful television series, including, In The Heat of the Night, What’s Happening Now, In Living Color, Melrose Place etc... For five seasons she portrayed Congresswoman “Bobbie Latham” on CBS’s hit military drama JAG, followed with appearing as “Sharon Upton Farley” on the hit WB comedy Girlfriends. Ms. Johnson starred as “Donna Cabonna” on the Disney Channels hit television series, That’s So Raven and had a recurring role on Tyler Perry’s TBS hit sitcom, House Of Payne. Anne-Marie has guest starred in multiple hit shows including Leverage, N.C.I.S, Bones, just to name a few. Her 2016 credits include guest starring roles on Major Crimes, Grey’s Anatomy, Castle, and recurring roles on NCIS.L.A. and Days Of Our Lives. She will soon be seen the limited Netflix comedy series, My Wet Hot American Summer, 10 Years Later. Anne-Marie's feature credits include Hollywood Shuffle, Strictly Business, Imo Git U Sucka, Robotjox, True Identity, Down in the Delta, L.A. Riots Spectacular, and About Fifty.